We also recommend the use of padding for carpets. Padding provides support and protects the carpet from stress and extends the life of the carpet. 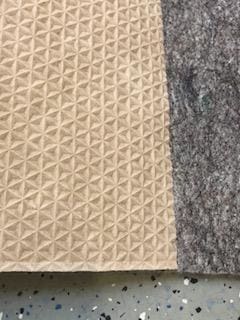 Barrington Fine Rug Gallery provides custom size padding for a perfect fit for your carpets. Simple cleaning and maintenance repairs extend the life of the carpets for generations of use and enjoyment. Barrington Fine Rug Gallery offers consultation to our clients and a full range of cleaning, repair and restoration services to keep these works of art in great condition for years to come.